Can I get workers’ comp for a dog bite? If you get attacked by a dog during the course of employment, you may have two causes of action; workers comp and a dog bite lawsuit. When people think about workers’ comp claims, the most common injuries that come to mind are injuries like broken bones, machinery accidents, trip & falls or repetitive stress injuries, but any injury that occurs on the job can result in a workers’ comp claim; that includes dog bites. 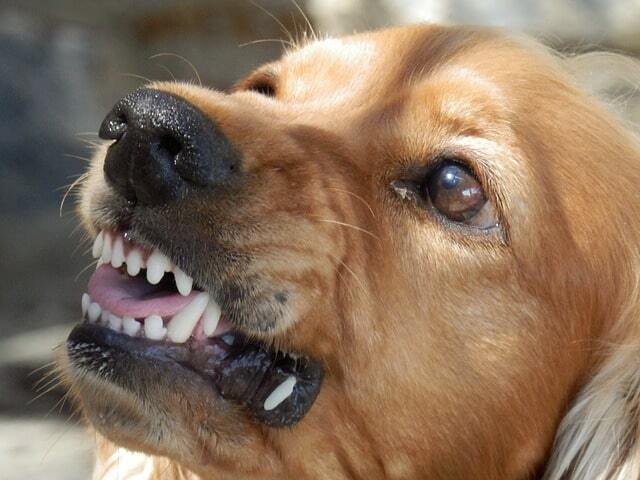 Workers like mail carriers, landscapers, delivery people, or even repair people and contractors are all in danger of dog bites when performing their job duties. Fortunately, if you’re on the job at the time you’re attacked, you’re likely eligible for workers’ compensation benefits. Under Ohio law, all companies with more than one employee are required to carry workers’ comp insurance in case of accident, injury, or disease. When it comes to a dog bite or attack, Ohio law also allows third parties to be held liable in dog attacks. If you are performing work-related duties, and are attacked by the property owners dog, or a dog that the property owner permits on their property, the property owner may be liable for your injuries. If you’re hurt on the job, take the following steps to make sure your workers’ compensation claim isn’t denied. Get medical treatment and notify your employer immediately of your injury. Be sure to have the doctor document any work restrictions they mandate. Ask your employer to report the injury to the Bureau of Workers Compensation (BWC). Speak with a workers comp lawyer to make sure that your claim is submitted correctly and that you receive fair compensation to cover your medical bills, missed work, and financial restitution. If you also decide to pursue a workers’ compensation case, you need a skilled attorney to help navigate through this legal maze. At the law office of Thomas Marchese, worker’s compensation claims are all we do. Call (614) 486-3249 or use our contact form. Now is a good time. Open workers comp claim? What you post on social media could cost you. Is your job a pain? If so, you could qualify for workers comp benefits. My workers comp claim was denied. What do I do now? Should you be compensated for Carpal Tunnel? Fake work injuries can equal big fines and jail time.